Jutting into the ocean on a seaside path in British Columbia’s elegant provincial capital of Victoria, Clover Point is The Great Trail’s official western “Mile Zero.” It’s a scenic spot on a popular seaside path in a cycle-crazy city that boasts the nation’s highest bicycle ridership. Clover Point is also a gravel beach access point to launch kayaks into the Salish Sea, a network of sheltered, island-dotted waterways between Vancouver Island and the BC mainland. 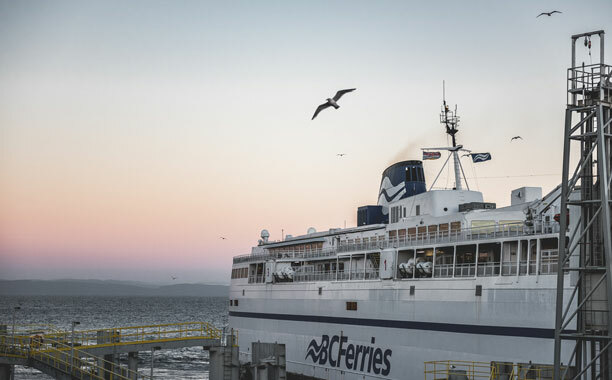 Usually, travelling between Victoria and the rest of Canada involves a 100-minute ride via BC Ferries. 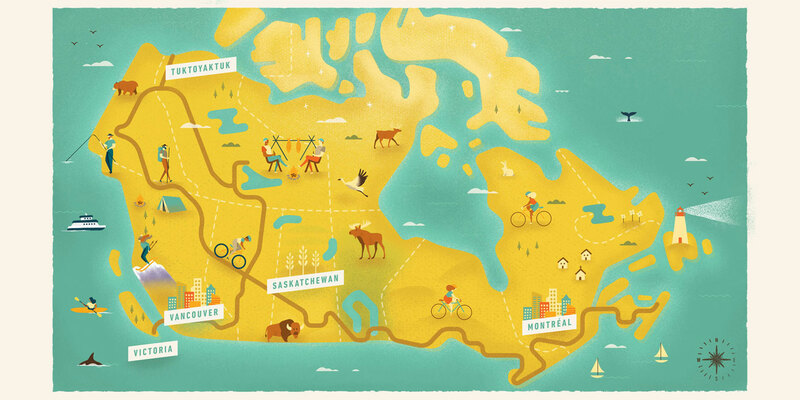 The ferry sector is officially part of the Trans-Canada Highway, and The Great Trail was set to follow the same route. That’s until Robert Holley and his colleagues at the non-profit BC Marine Trails Network came up with an alternative agenda for that motorized “hole” in The Great Trail. 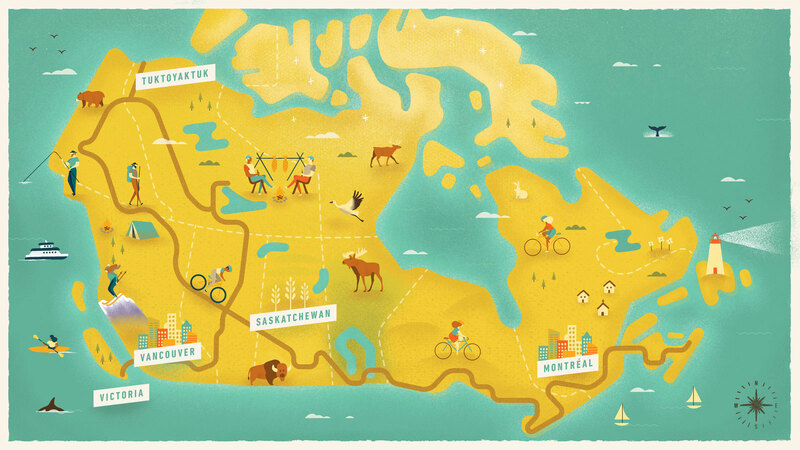 They created a watery wilderness route perfect for paddling, complete with conveniently spaced campsites and provincial parks along the The Great Trail’s only saltwater stretch. 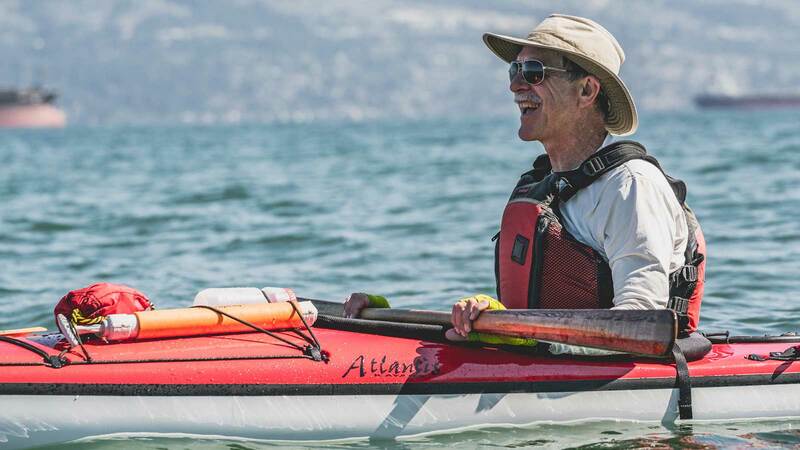 Their recently launched Salish Sea Marine Trail is 160 miles (257 km) of island-hopping from Victoria to Vancouver, retracing the footsteps (or paddle strokes) of the local Coast Salish people who once paddled their canoes throughout these protected waters. 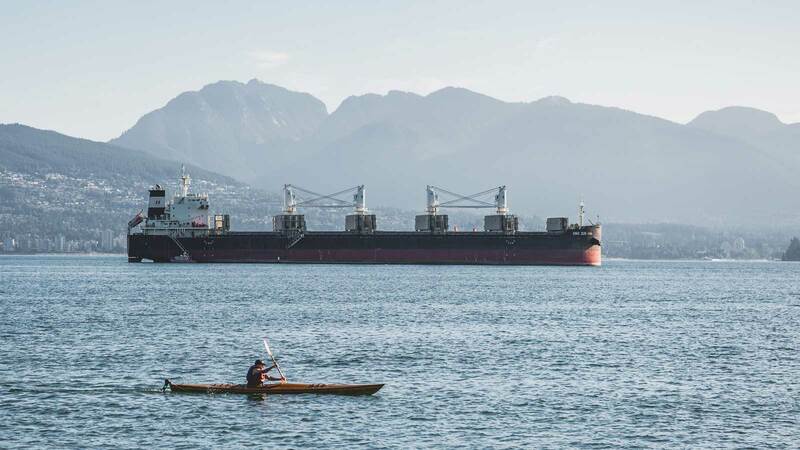 Sheltered from the worst of Pacific storms by Vancouver Island, the Inside Passage separating “The Island” from BC’s coast is busy commercial and recreational fishing territory, particularly for salmon. Cruise ships ply to and from Alaska. Ferries service Northern BC islands and coastal indigenous communities without road access. 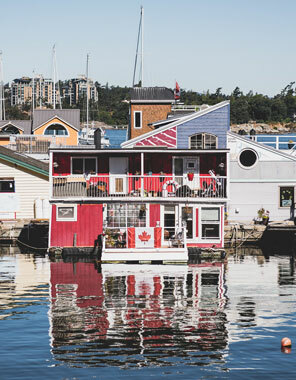 Island residents and cottagers commute with small boats, and the region offers some of the world’s best sailing waters. 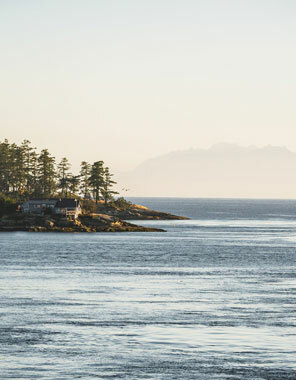 Both Vancouver and Victoria—BC’s two biggest cities—look out onto wilderness from their downtowns. And in between is perfect paddling terrain. Having a spectacular sea trail through a unique and wild eco-system adds a jackpot of diversity to the transcontinental Great Trail, offering access and an up-close peek into some of BC’s 15,985 miles (25,725 km) of coastline where humpbacks breach; orcas travel in pods; grey whales, dolphins and clouds of seabirds feed in rich waters; and grizzly bears prowl rugged shorelines. 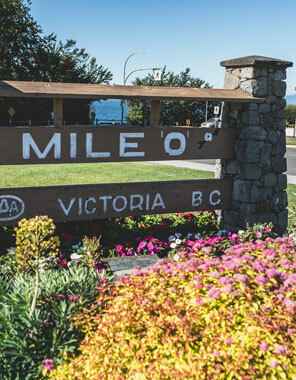 Starting from Victoria, it’s a lovely meander northward through fresh salty air, as you thread through a maze of lush and hilly Gulf Islands. Stock up on organic goodies at Saltspring Island’s lively Saturday farmer’s market. Hike up Pender Island’s Mt. Norman for dramatic sunset views. Grill a fresh salmon over a camp fire on a deserted sandy beach under the stars. The two longer stretches of more open water you must cross to reach mainland BC’s Sunshine Coast notch the week-long crossing up into experienced kayaker territory. 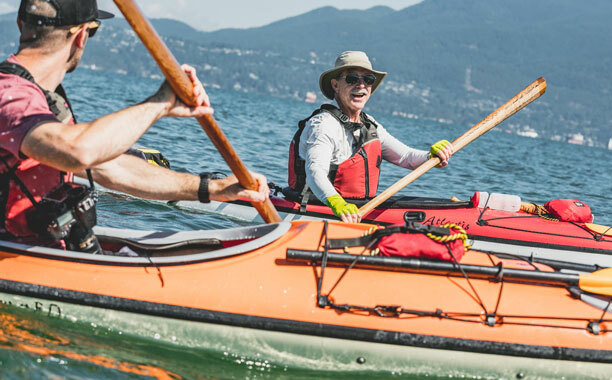 Yet shorter routes like the Victoria to Nanaimo section are perfect for intermediate paddlers. So is following the Sunshine Coast’s trail of beaches southward past Keats and Bowen Islands with Howe Sound’s wild, snow-capped Coast Mountain peaks announcing your arrival into vibrant Vancouver. 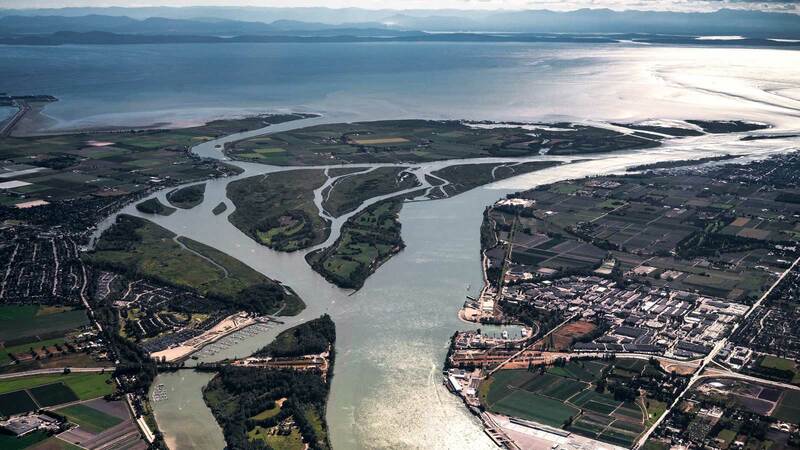 Canada’s third biggest city is perched on the edge of wilderness and surrounded by the ocean, with mountains as a backdrop. 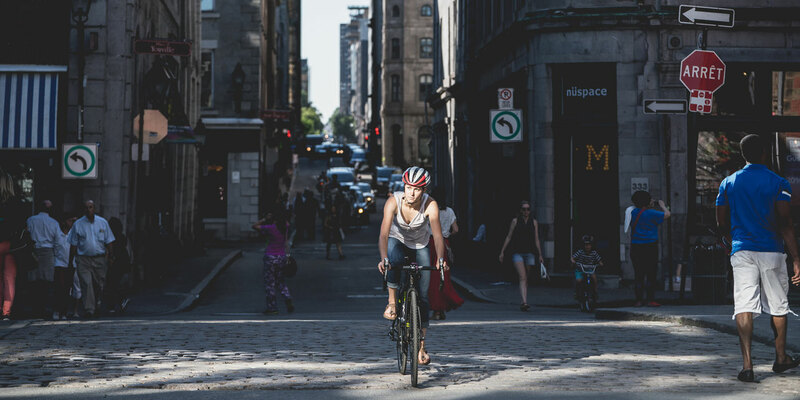 It’s an active urban playground where outdoor-loving Vancouverites live, work, commute, and play on The Great Trail daily. 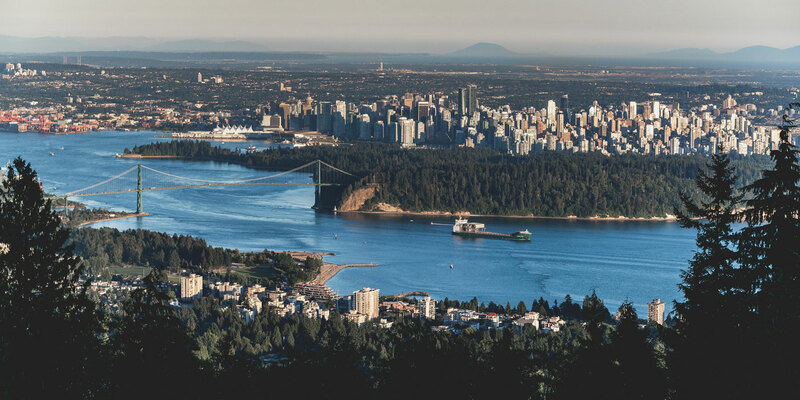 Kids to pros walk, jog, and cycle the Seawall that encircles the 1,000-acre (405-hectare) temperate rainforest of Stanley Park, which lies smack in the center of downtown. And now they’re heading up the Sea to Sky route, a spur of The Great Trail. Sure, there’s a speedy highway etched into the cliffs of Howe Sound, a network of dramatic fjords just northwest of the city. But it’s so much more fun to savor sea breezes on the 24-mile (39-km) Sea to Sky Marine Trail, paddling to the outdoor activity-mecca of Squamish, then hiking, biking, or cross country skiing another 50 miles (80 km) north toward Whistler Mountain, another outdoor playground—and the site of the 2010 Winter Olympics.